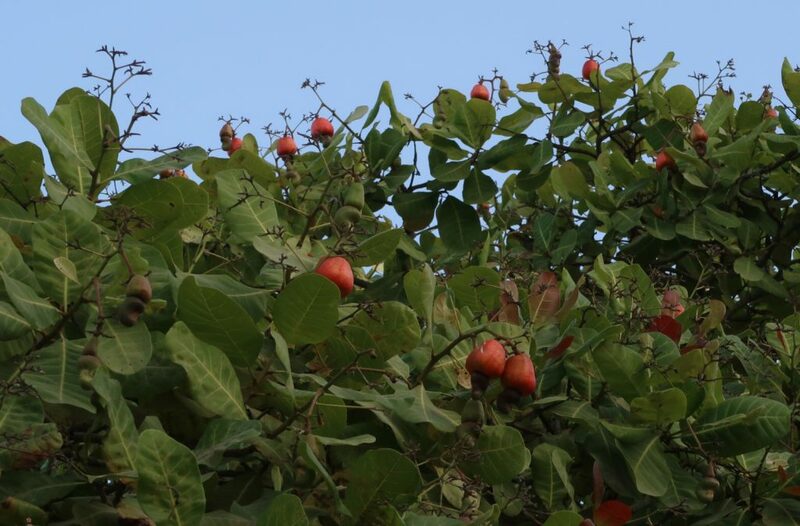 I don’t think I have ever seen a cashew tree before. At least if I have I did not realize it. Walking to town there is a strange looking fruit laying on the ground. An apple looking thing with an arc shaped nut instead of a stem. Looking up at the tree the nut thing is really growing on the bottom rather than as a stem as I first thought. The fruit is squishy, over ripe. The juice is oozing all over my hand but I carry it thinking I will find someone that can fill me in on what it is. A local fellow tells me what I already suspect. It is a cashew. 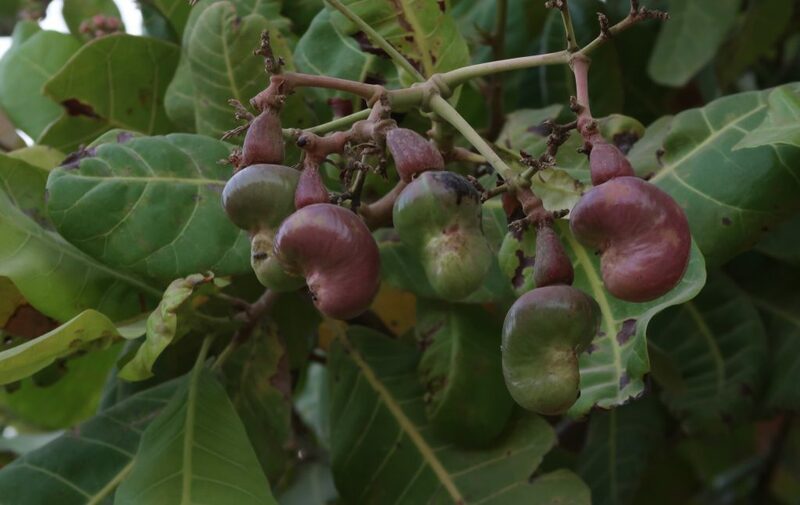 The ‘cashew apple’ part is edible and some make wine using it as the fruit. 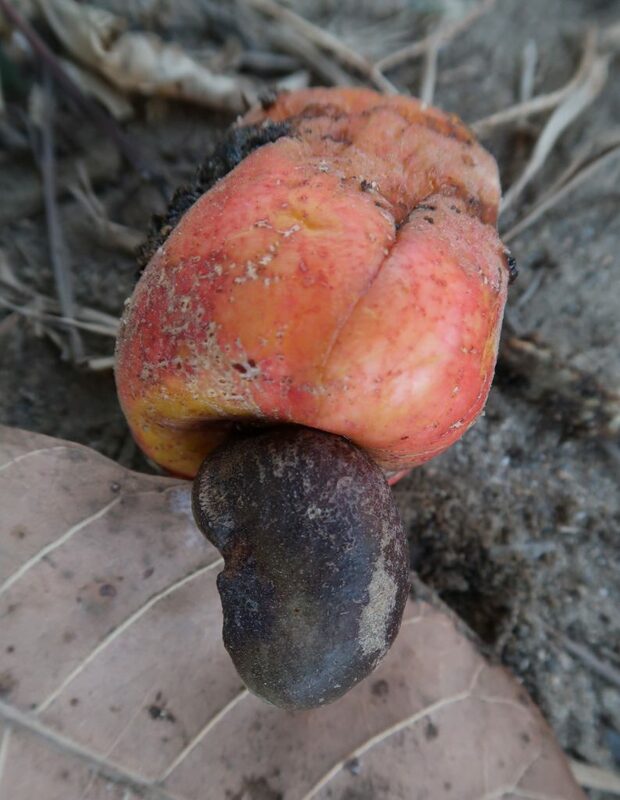 The cashew nut part is, however, not edible until it is properly prepared. There is arsenic in it and it has to be roasted to get rid of the poison. The fellow just told me it would make one sick. I don’t think one nut would kill a person but a persistent eater might get into trouble. For something with such a sweet taste, it has rather an auspicious beginning. 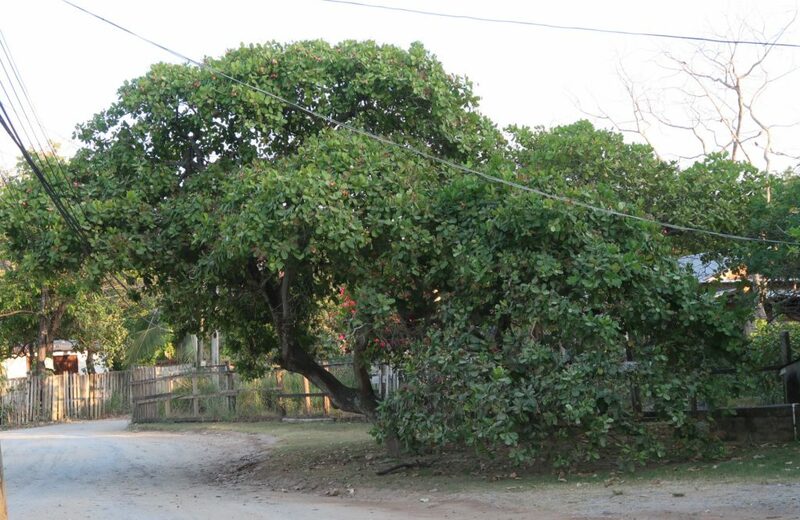 This entry was posted in Roatan, Honduras. Bookmark the permalink.